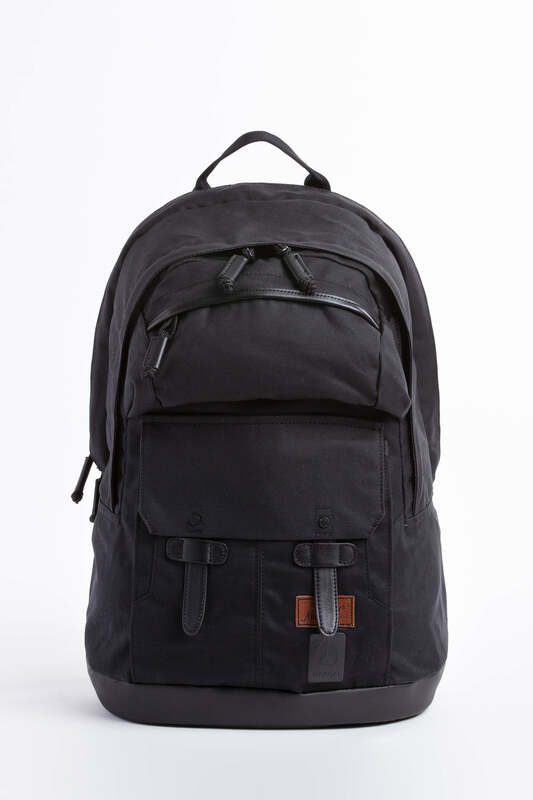 Celebrated in the latest video games and avant-garde fashion lines, blackout gear is trending, and you can get the look along with rugged, easy-on-the-eyes utility with one of our popular blacked-out fashion backpacks. Simply select your favorites from our top 10 blacked-out backpacks below and be ready to work, play and travel to the extreme. This Alps-inspired Ranger Backpack from Filson is equally at home on a day hike and a commuter train. With an exterior of rugged 22-ounce twill canvas with antique tin cloth canvas accents, this is a pack you can count on to keep up to 23 liters of your stuff stowed safely. The top flap buckles it all down, and padded straps facilitate twinge-free portage. Double D-rings add easy-pull adjustability, and the padded back provides an extra layer of comfort. Inside, you can stow your laptop in a special integrated sleeve and your small essentials in the pockets or inside the removable, zippered wool compartment. The drawcord closure at the top keeps your gear in place even if the pack lands bottom-up. 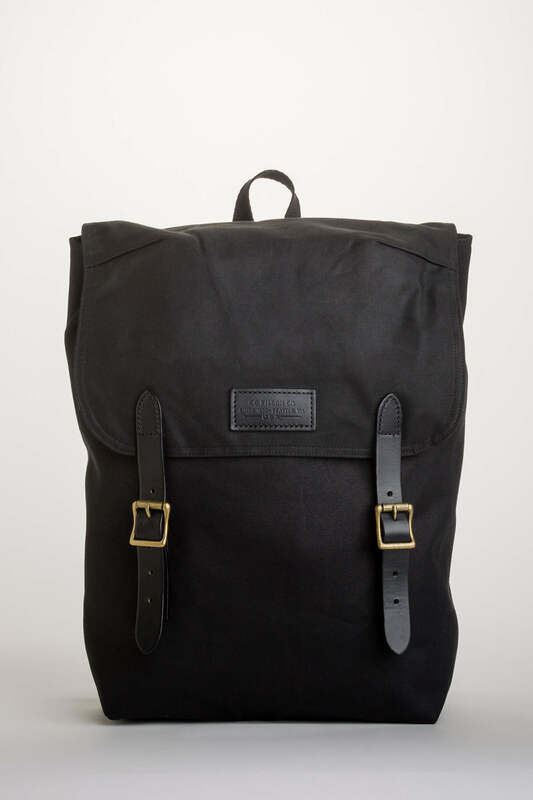 The Filson Ranger Backpack in edgy blackout black measures a manageable 18 x 14 x 6 inches. Sleek aerodynamic curves and zero wasted space make the Lipault Plume Elegance Round Small Leather Backpacks absolutely indispensable for style-conscious urbanites. You will love the soft, supple hand of this lovely little carryall as well as the spare 13.75 x 5 x 19-inch profile, the perfect size to cradle on your lap during your daily commute. 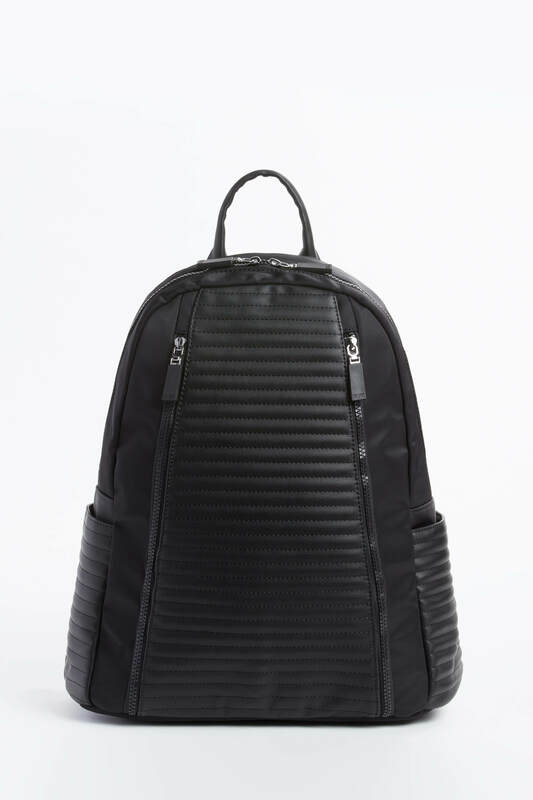 Ultimately versatile with a capable vibe, the Plume Elegance blacked-out backpack features zippered exterior pockets front and back and a wide-mouth zippered top that opens like a purse, providing visible access to the contents. Pretty patterned lining adds a jazzy touch, and comfortably bolstered, adjustable straps buckle up in back. On the inside, a flat pocket helps keep clutter at a minimum, and the roomy main compartment maximizes cargo space. The Lipault Plume Elegance Leather Backpack weighs in at just a pound and a half, yet in terms of fashion, it is truly a titan. 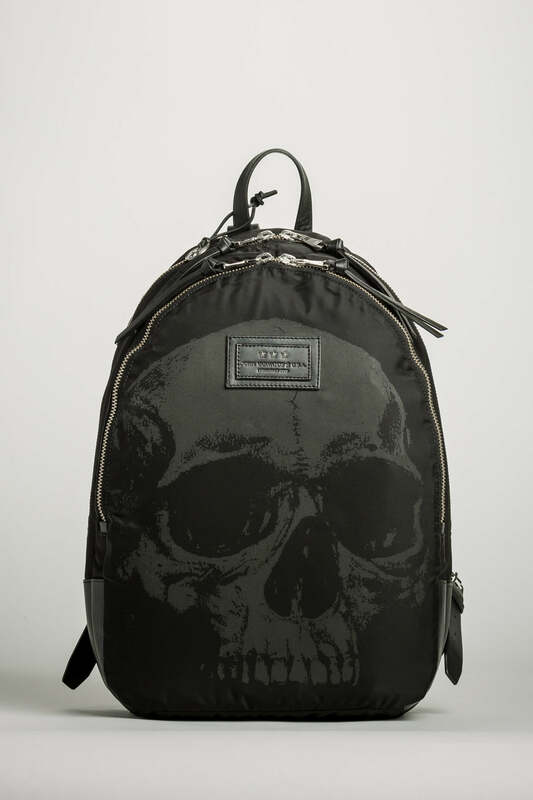 School, study group, overnighter or out-of-towner, you will be well-provisioned with the John Varvatos Skull Printed Backpack everywhere you roam. This tough nylon pack keeps you relevant with a take-no-prisoners greyscale skull print, double top zips that mean business and bold buckle-down shoulder straps. Compartmentalize your personal items within where separate cargo areas with buttoned and slip pockets will keep them shipshape. Black zipper pulls, a black brand label and a loop carry strap accent the John Varvatos Skull Printed pack in blackout black while the roomy capacity and 18 x 12 x 5-inch profile deliver the space you would expect in a go-to tote. 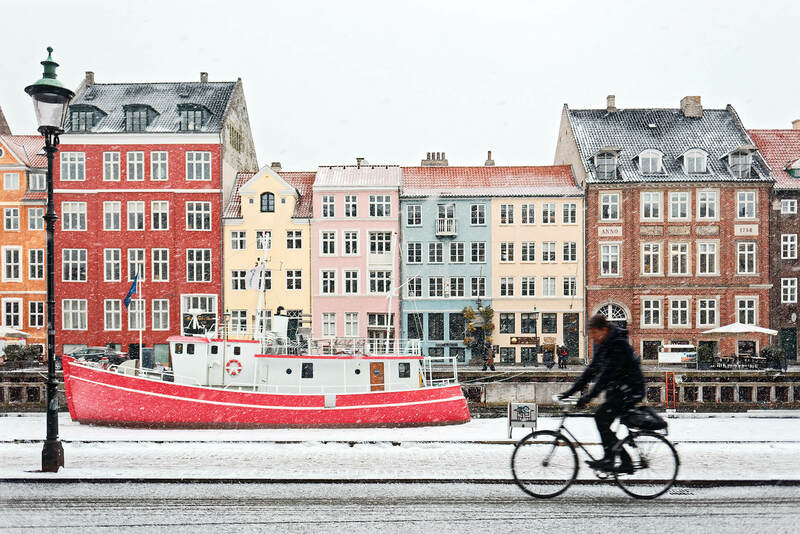 Take it to the gym, on the airplane, boat, bus or train. Be at your best around the clock with this lightweight, weather-resistant yet elegantly leather-trimmed Knomo Beauchamp 14 Backpack. Destined to be a classic, the savvy, slim-line design supplies you with all the capacity you need at 9 liters of cargo space in 16.4 x 11.5 x 3.9-inch profile. Twin zippered pouches and a wide slip pocket trim the front with a sleek, stylish profile. Padded, S-shaped leather shoulder straps offer easy D-ring adjustability on the run. A full-length zipper supplies 360-degree visibility so you can easily locate your stowed stuff, and RFID protection lines the hidden, high-tech security pocket for your ID and bank cards. A specially designed cache protects your 13-inch laptop, and plenty of pockets make staying organized a snap. 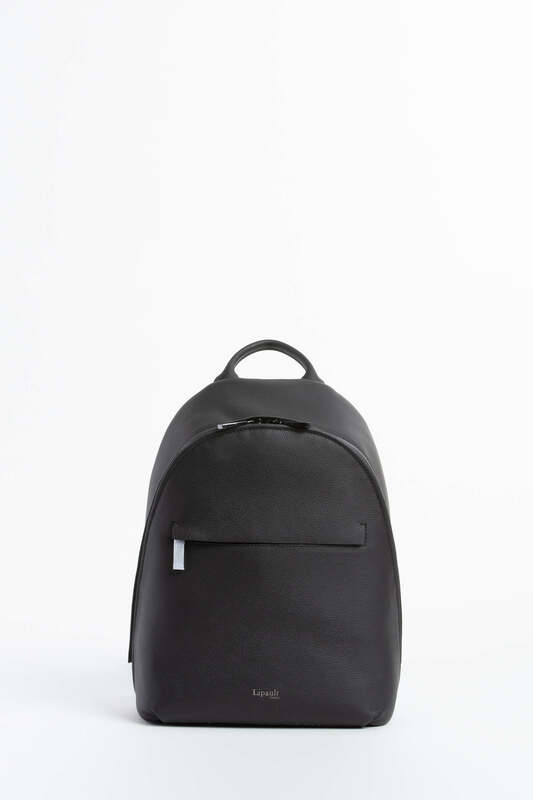 The Knomo Beauchamp 14 Backpack is among the most utile fashion backpacks available in avant-garde blackout black. The ideal kit for your walkabout, the Brooks England Islington Backpack in Total Black makes its mark with a powerhouse combo of space and stylishness. The simple, no fuss design features black, durable waterproofed canvas with leather details, a rolled upper flap, and a rugged rectangular shape. 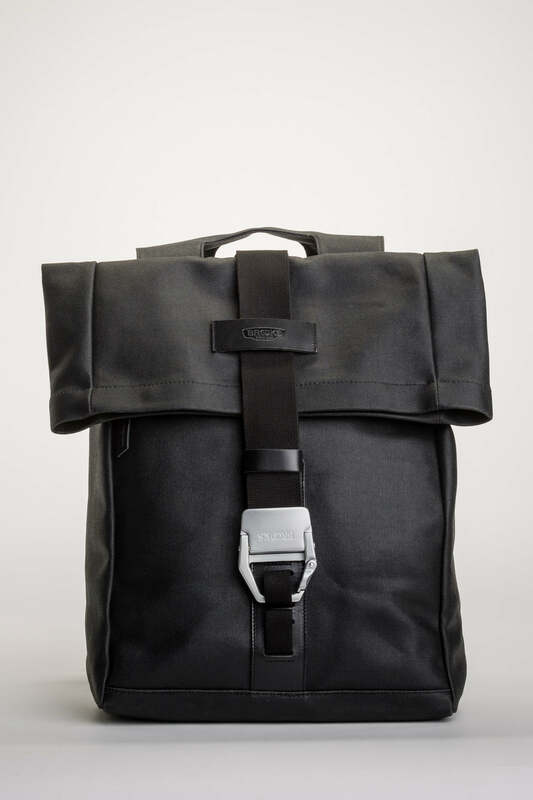 The exterior, stunning in stealth-mode blackout black, features a shimmering carabiner closure that secures the black webbing strap, a reinforced lift-handle up top and ultra-utile carabiner-snap straps that you can adjust to balance your load, either crossed over your chest or doubled up in back. A side zipper closure gives you access to a full 27 liters of cargo space, and the roll top design provides a simple way to open it up or dial it down to suit what you are packing. Extending to 23.62 inches in length to the 13-inch width and 5.5-inch depth, the Brooks England Islington Backpack will serve you well both on your Pacific Crest Trail trek and sightseeing in Paris. 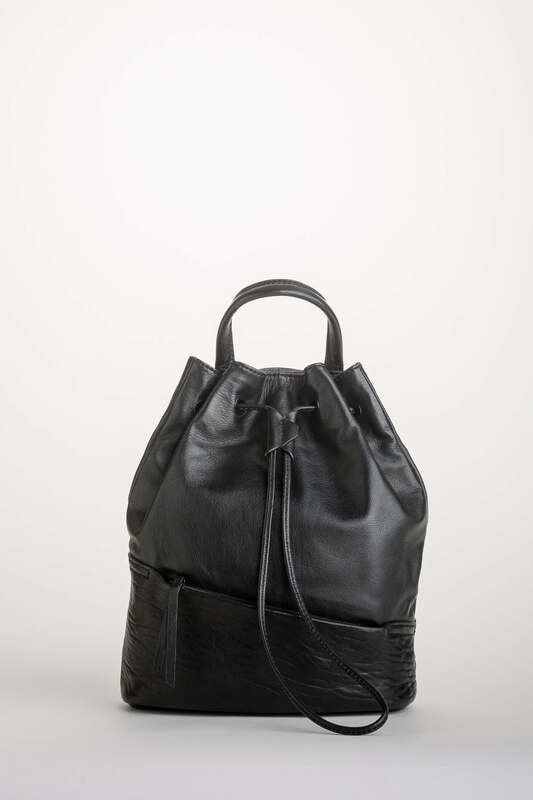 A standout among fashionable backpacks, this sporty black Hobo Blaze Leather Backpack illustrates the joy of a versatile design, which invites you to switch from purse to sling to knapsack with a few simple twists of the wrist. 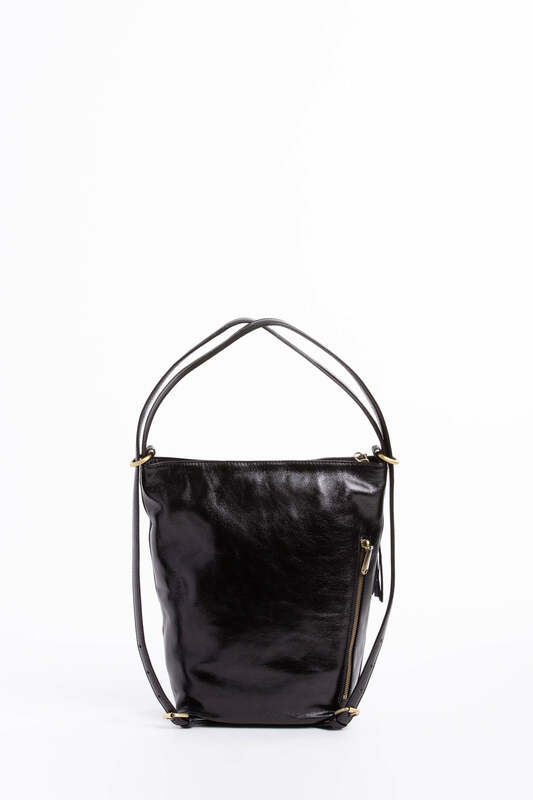 Made of glove-quality leather, this hobo-style bag ramps up your day to evening fashion with impeccable élan. Delicate gold-tone hardware adds a touch of bling along with durable strength. A jaunty tassel caps off the top zip while a secure side pocket offers a safe place for your phone, cards or cash. Inside, the silky Wanderlust-print lining provides a luxurious contrast to the stylish matte black, and multiple pockets keep your items neatly organized. Five liters of interior space accepts all your essentials plus a few extras. This stylish Hobo Blaze Leather pack measures a petite 11 x 7 x 5 inches, keeping it classic and on point. When you crave your own space, slip into the Nixon West Port Backpack in blackout black. Premium padding ensures your comfort along the shoulders and back as you travel by car, skateboard, cycle or on foot. The 21-liter interior features a separate padded pocket for your laptop and lots of pocket-sized niches for your valuables of all sizes. On the outside, the roomy accessories pocket has a key clip and magnetic tabs that secure the stylish flap. Up above, a zippered pouch keeps the items you use most – from your phone to your bus pass – safe and accessible. Perfect backpack for students in middle school, they will instantly bond with this British Millerian waxed cotton pack that keeps moisture out and maintains its unique mystique despite daily use. Wherever you ramble through the wide world, your Nixon West Port Backpack will get you through in style. This architecturally correct Sol and Selene Ride or Die Backpack in blacked-out black is tailored to fit your active schedule. 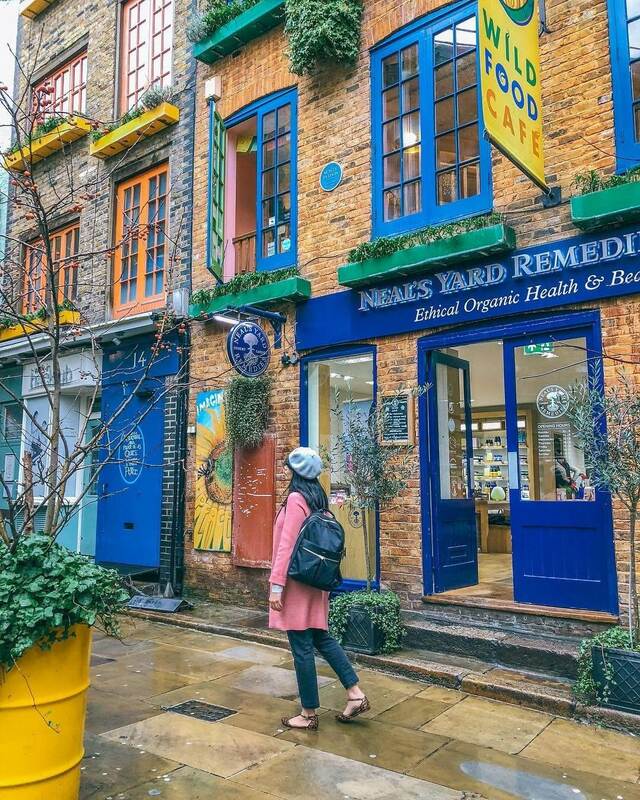 It features a decorative front panel with double zips where you can secure your yoga mat or tennis racket, matching side slip pockets and a zippered top that opens wide so you can neatly stow your stuff. There’s even a hidden zippered pocket in back. The water-repellent nylon fabric looks smart despite frequent use and, let’s face it, a bit of abuse. The interior of this fashion-friendly tote contains a laptop pocket with a Velcro closure and a stay-in-place strap. You will also find a removable drawstring bag ideal for damp workout clothes plus a key clip and a mesh pocket. 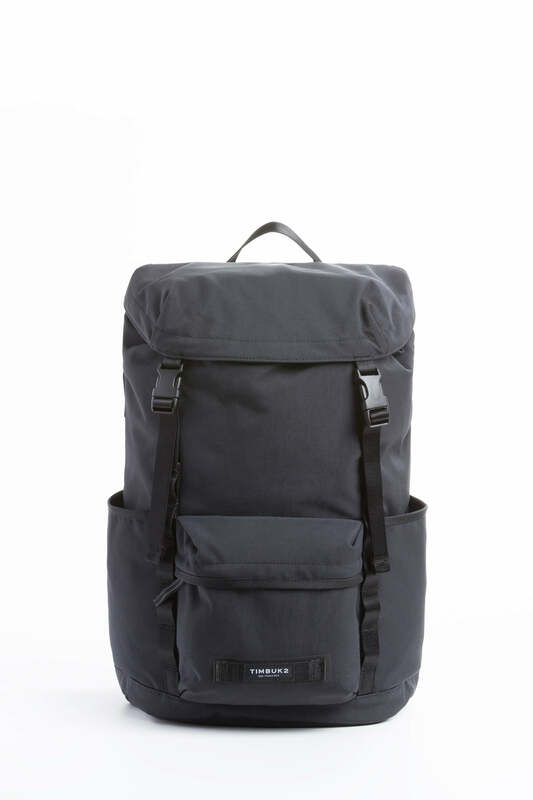 With 16 liters of packing space and a generous but compact 16.25 x 11.5 x 6.50-inch profile, you can bring everything you need while sticking to your standards for fashion. This Timbuk2 Lug Launch Pack in jet black takes you to the ends of the earth and beyond. With two water bottle pockets and padded straps with daisy chains for clipping on your essential stuff, you can outfit yourself for days. A sternum strap helps save your back, and a zippered exterior pouch offers quick access to what you use the most. Inside, beneath a securely clipped flap, a drawstring top ensures your gear stays where you pack it. A padded pocket with a side access zipper protects your 13-inch laptop, and a spectrum of organizer pockets provide secure space for your various items. Black matte-finished zippers complement the premium 1000D sailcloth exterior to create a hip, incognito look. Tons of cargo space inside the 16.9 x 11 x 6.3-inch Timbuk2 Lug Launch Pack provides a bit of extra space for what you collect along your journey. 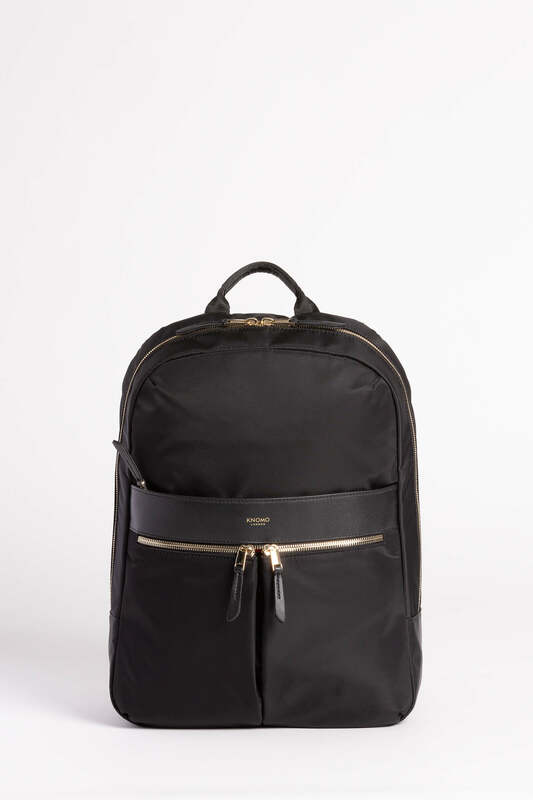 This chic, Philo Executive Convertible Backpack keeps your look immediate in the boardroom and locker room alike. 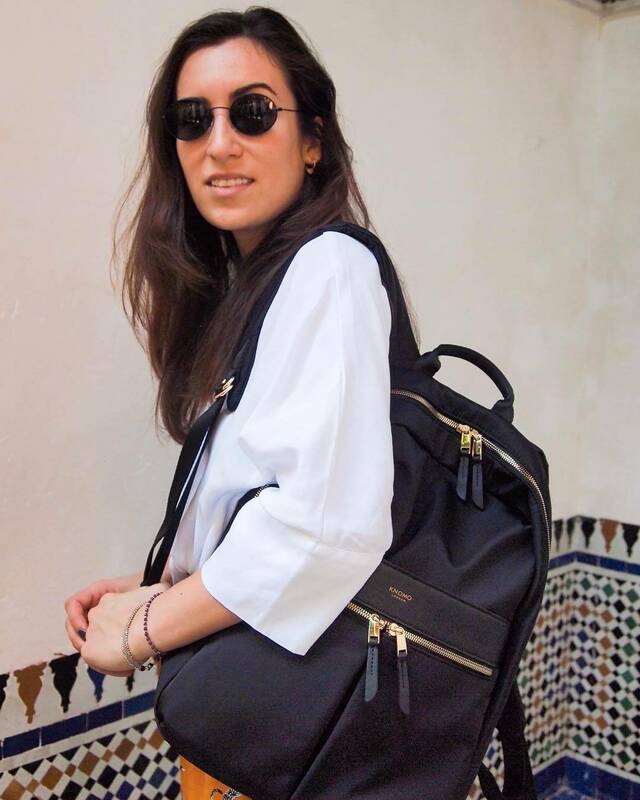 All done up in blacked-out black, this prime example of convertible backpacks looks fabulous with any outfit from business casual to evening wear, and the real leather exterior will only get better with age. Wear it as a backpack, a shoulder bag or a cross-body pouch. Inside, it is lined with super-soft suede moleskin. Zippered pockets ensure that everything stays in place, and the magnetized drawstring keeps the top drawn tight while you are in transit. The one-pound Philo Executive Play Backpack holds up to 11 liters of gear, and its compact profile – 10.5 x 13 x 5 inches – won’t cramp your style. Just pack it up, cinch the string and you’re good to go wherever. Gear up with one or more of our top 10 picks for fashion-friendly, thoughtfully designed backpacks, and you will be ready to roll on moment’s notice. You will love the hands-free portability, the easy-to-organize utility and all the compliments coming your way. Sometimes we plan a long and short vacations to get relax with our tiring routine and after having all settings for our trip we just need a backpack which can fulfill our requirement, then you are at right place in this article I’m going to mention some types of backpack with complete briefing which can help you to find your desire backpack for your complete needs.